Last year, the FDA impacted a $3.7 billion industry by ruling that vape pens and e-cigarettes won’t be available for sale to anyone under the age of 18 because they fall under the category of tobacco products. 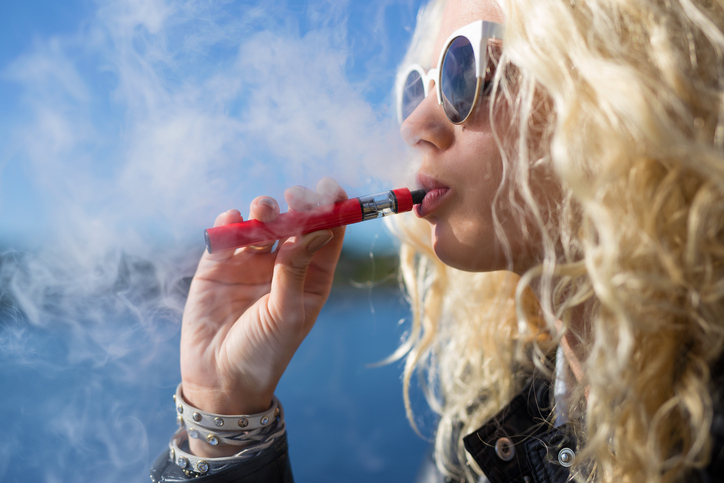 According to a survey conducted by the Center for Disease Control (CDC), one in four teenagers use vaping products like e-cigarettes and vape pipes. The CDC’s survey found that 24% of high schoolers have used alternative tobacco products like vape pens, e-cigars, and e-hookah. Vape shops and other retailers across the country have spent the past year figuring out how to verify the ages of customers who want to buy e-cigarettes and other related products, whether it’s online or in-person. Every retailer of the covered products must “verify by means of photographic identification containing the bearer’s date of birth that no person purchasing the product is younger than 18 years of age” and must do so for any customer under the age of 27. While verification is needed, retailers need to address how they collect PII scanned from customer driver’s licenses and identification and mind state regulations such as New Jersey’s. Acuant allows for quick authentication of IDs by scanning an ID with any mobile device or desktop scanner to verify that it is valid. This allows untrained personnel to detect sophisticated fake IDs and avoid hefty fines. Results are given in seconds to avoid long customer transactions. Online retailers are a popular point of purchase for many e-cigarette users. Similar requirements apply to online sales of traditional tobacco products and alcoholic beverages. Acuant allows retailers who sell vaping products to capitalize on the e-commerce trend and move their businesses online through its Facial Recognition and Match (FRM) technology. Acuant FRMTM enables online retailers in the alcohol and vaping industry to comply with new FDA regulations, which require retailers to validate that customers are over the age of 18. For customers, Acuant FRM is as easy as taking a selfie, which is then compared to extracted biometric data contained in a government issued ID, such as a driver’s license. Facial recognition technology matches the face biometrics of the selfie to the face image on the ID to authenticate that they match. In addition, Acuant FRM provides liveness detection to prevent criminals from using static images. This one-time verification during account set up ensures that not only does the face match, but that there is also a live person in front of the camera. Failure to verify customer ages can lead to sizable fines and other enforcement actions. For retailers in regulated environments and shipping companies, this means they need a fraud-proof way to check that the identity document being presented is valid and matches the individual currently making a purchase and that do not store PII. Acuant provides multiple customer friendly options.